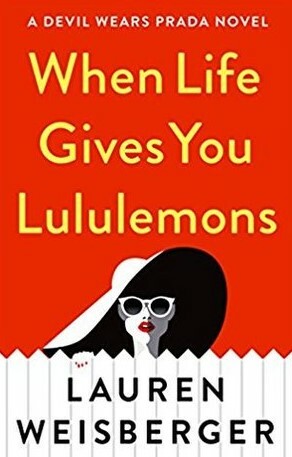 When I first saw the book When Life Gives You Lululemons by Lauren Weisberger, I didn’t know what Lululemon was. I don’t like to start off a review by admitting that I didn’t know something that’s common knowledge, but I believe I should be upfront about these things. Anyway, I was in the bookstore with my daughter while she was picking up books for her summer reading list (summer reading list, haha!). As we stood in line, I dramatically read the titles of bestsellers that were propped near the entrance. I admit, that sounds obnoxious of me, but I wasn’t loud. With my quiet voice, only my daughter could hear, and it’s a parent’s job to be obnoxious to the kids in public. “The… President… Is… Missing” I said, trying to imitate a movie trailer professional. “When… Life… Gives… You… Lululemons,” I said. “What… the… heck… is… a… lululemon?” I said, maintaining my movie trailer tone. My daughter finally snickered at me. “You’ve never heard of Lululemon?” She was talking normally. She asks me if I’m okay whenever she thinks my memory is getting bad. And that was it. Since the book title caught my attention, I figured I’d give it a try. I’m not sure the store Lululemon will be around in 20 years, but a lot of bestselling authors don’t care about stuff like that. So far, When Life Gives You Lululemons is an easy novel to read, except for some of the dialogue. The entire dialogue is a lot longer than this (a lot longer) and could have easily been cut by a few pages. Do people really talk in block paragraphs? Block paragraph dialogue sounds unnatural to me, but it could be my own experience. If the rest of the book is like this, it would be a tough read for me. But maybe it’s not so tough for the actresses and actors who’ll be in the movie. Maybe I’m wrong. Maybe people really do talk in block paragraphs, and I’ve just never noticed. I wouldn’t be surprised. After all, a few days ago I didn’t know what Lululemon was. What do you think? Do people really talk in block paragraphs? 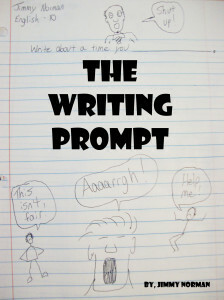 Or are long block paragraphs of dialogue a necessary evil? If you think this was bad dialogue, what would you do to fix it? As far as I’m concerned, when you speak in block paragraphs, you’re trying to justify something – and people only try to justify things when they know they’ve done something wrong. Just my .02 but there’s never a reason for block paragraphs when you know you’re right. Also, I read this novel and the protagonist was just as annoying as she was in the Devil Wears Prada. I’ve never read it. Did the characters speak in block paragraphs in that book too? People do speak in block paragraphs. Usually it’s either when the listener is either very interested in what the speaker has to say, or when the speaker is the kind of person who loves the sound of their own voice and wouldn’t let others to get even a word in. That’s true. Maybe that’s what the author was going for. It seemed impractical, though, when it was important to do something quickly for the character to talk so much. I work at a bookstore and we sold out the day it came out. And it keeps selling out. I don’t know why. I didn’t care for the book and it wasn’t so much because of the block paragraphs I just didn’t interest me. I didn’t connect with any character, the plot felt forced. But who am i? The reviews don’t seem all that great either, so you’re not alone. « Let’s Save the Brick & Mortar Book Stores!